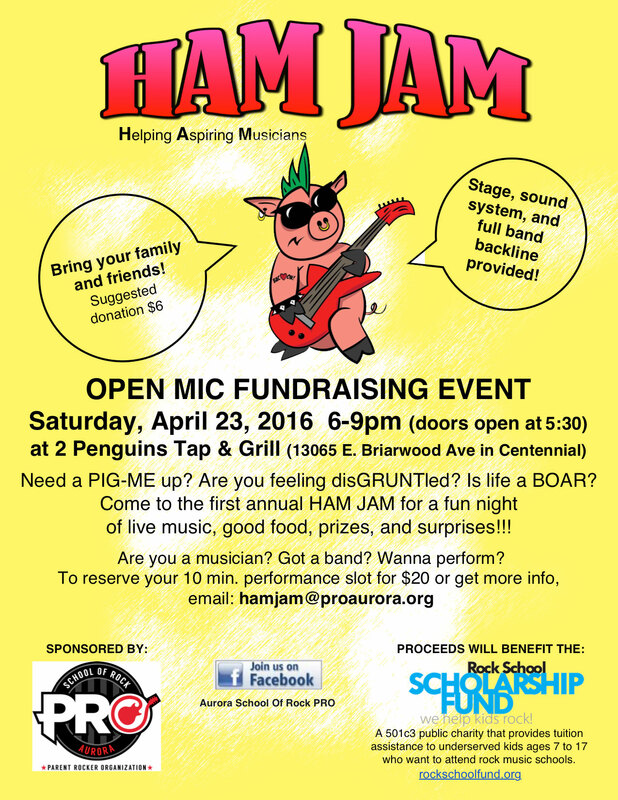 Saturday, April 23rd – Ham Jam! Musicians In Action-CO will be joining the Aurora School of Rock for a special fundraising Open Mic known as Ham Jam! This event will take place at 2 Penguins Tap & Grill in Centennial. Come see the next generation of musicians tear it up – $6 suggested donation at the door, plus a can of food for M.I.A. in-kind donation drive. This event is primarily raising funds for youth musician scholarships, supported by the Parent Rocker Organization of Aurora. We’ll also be joined by Love, Hope, Strength and Arapahoe Library District. Doors open at 5:30PM and music kicks in from 6-9PM. Saturday, June 4th and Sunday, June 5th – 45th Annual CHUN People’s Fair! Saturday, June 11th – Littleton Block Party! M.I.A. will have a booth in downtown Littleton to participate in this grand event! Multiple stages, lots of bands, vendors and fireworks too – please look for us near Prince and Main Street (by Reinke Brothers). Thank you Historic Downtown Littleton Merchants! And more dates to be announced soon!